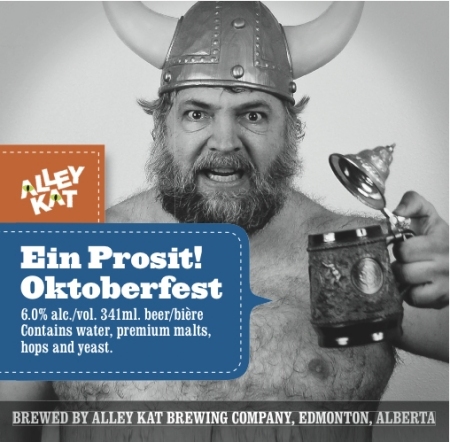 EDMONTON, AB – Alley Kat Brewing has announced the return of two popular fall seasonals, and will be officially launching them with an open house at the brewery. Taking place tomorrow (October 6th) starting at 5 PM, the party will mark the release of this year’s batches of Pumpkin Pie Spiced Ale and Ein Prosit! Oktoberfest. In addition to samples of both beers, the event will also feature food and brewery tours. Following the launch party, both beers will be available in the Alley Kat retail store, as well as at select liquor stores and pubs in Alberta.